We check over 450 stores daily and we last saw this product for $40 at BaubleBar. 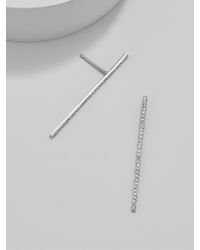 Straight, metallic pavé bar studs/ear crawlers are minimal yet edgy and unexpected. 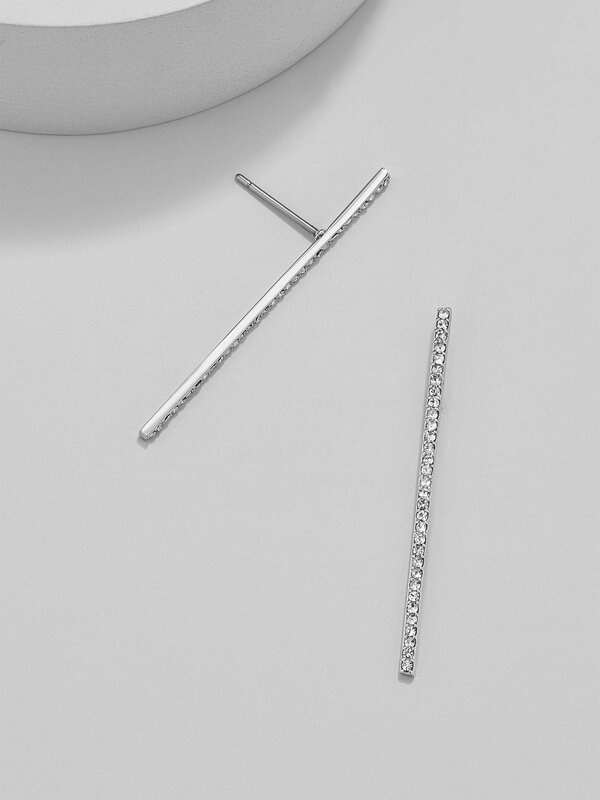 Zinc casting, glass stones, surgical steel posts. Shiny silver plating. Post back. Hypoallergenic. Length: 1.5"; width: 0.05". Weight 0.02 oz.